Cheap Metal Bottle that wil stand out. Laser engrave or print this item to customize it to suit your school, gym, organisation or sporting club. 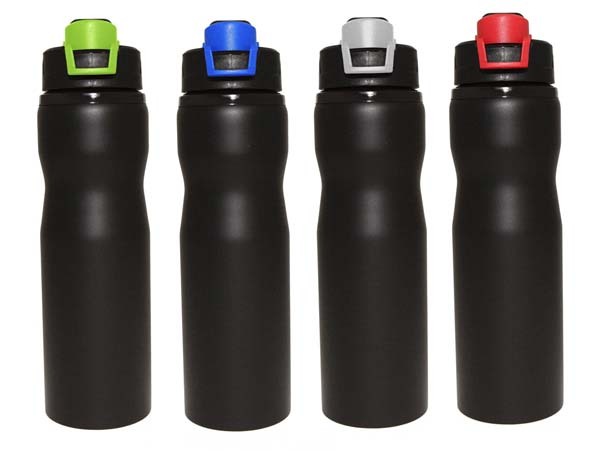 750ml Stainless Steel Drink Bottle. Black Matt body with coloured lid.